This is Cindy from Love Those Kinders. 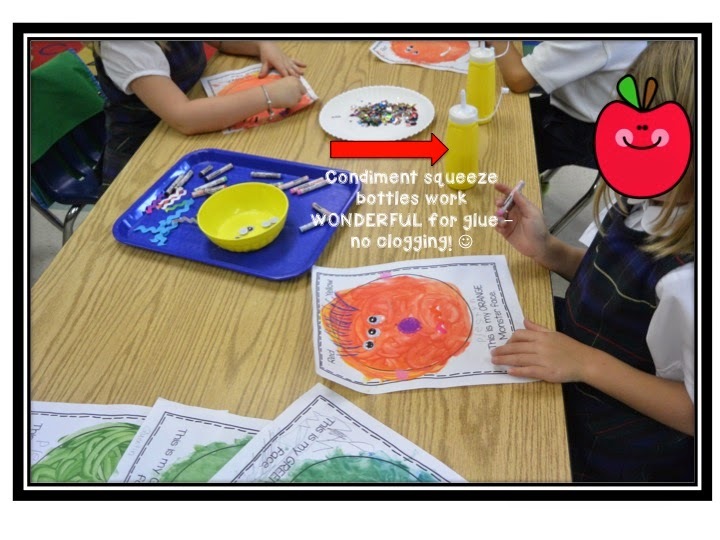 I love to begin the school year discovering colors! 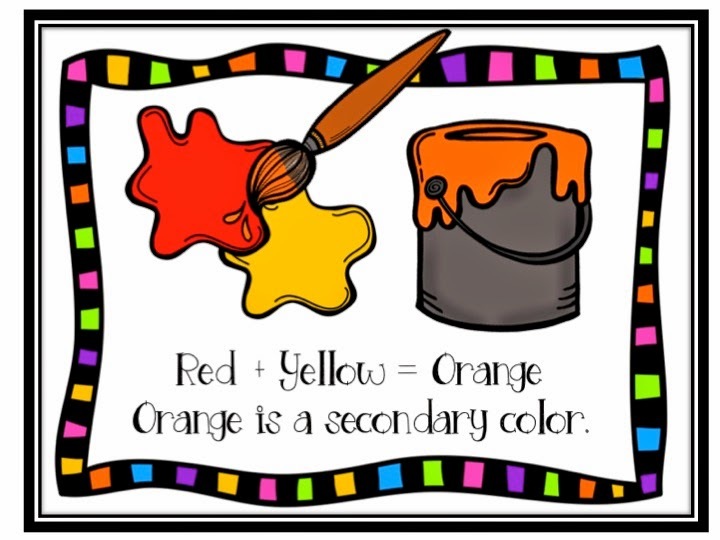 It is such a joyful way to get kids into school routines and following directions while at the same time learning some fun color and rainbow facts. PLUS when we are finished with this little mini unit, kiddos have a fun book to take home and share with their families! We begin with a discussion of primary/secondary colors. 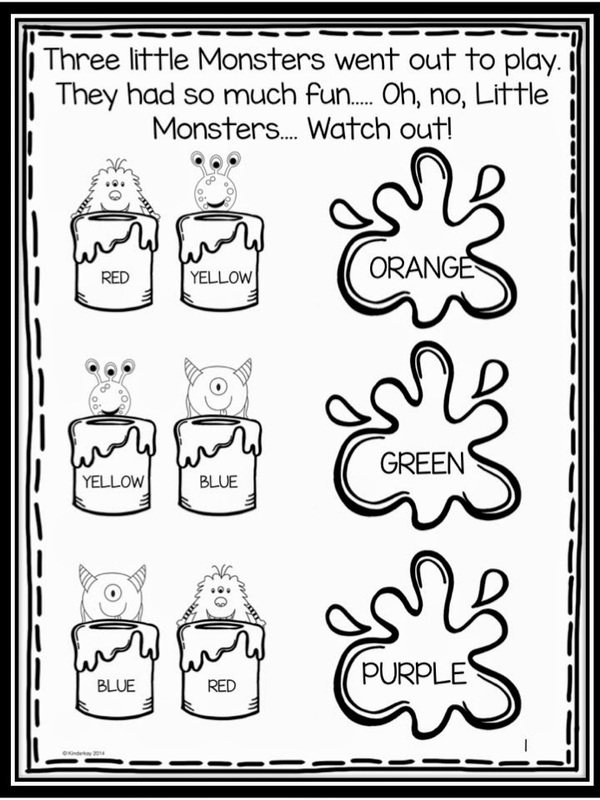 I love "Monster Mess" in Deanna Jump's Back to School with Math and Literacy pack. 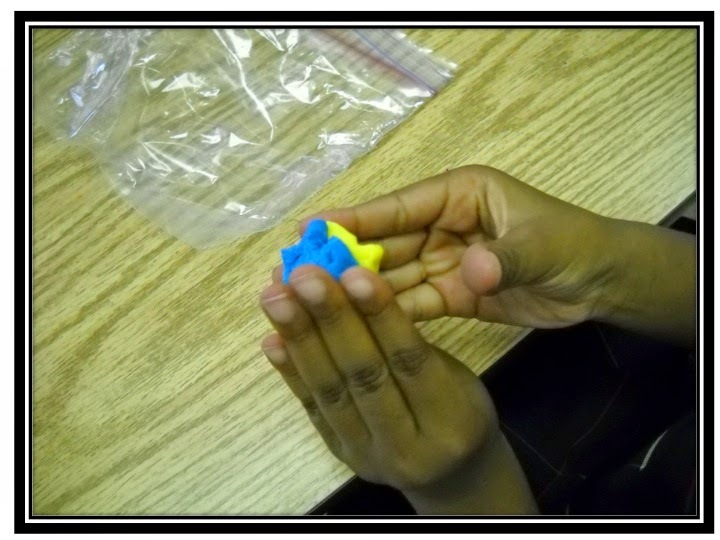 After reading this cute little story, we do Deanna's play dough mixing activity which is a HUGE hit and a great way to begin this mini unit. 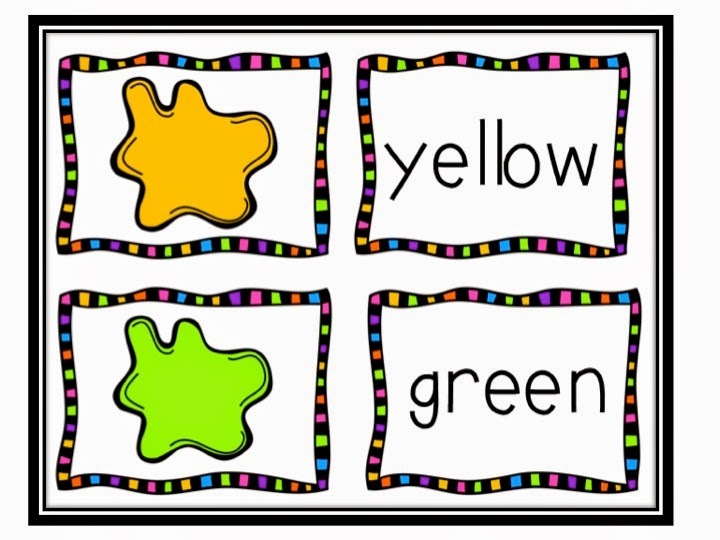 We then do a little pocket chart color/word matching activity. I leave the cards up to use for our next day's activity. 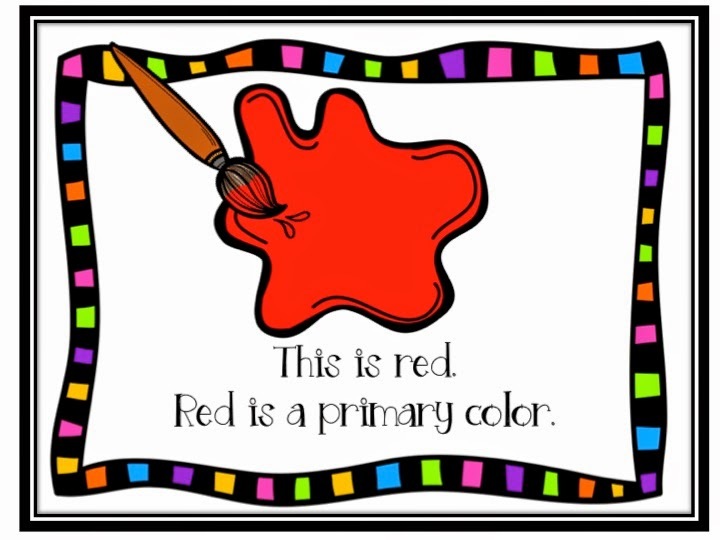 The next day, I project "Color Mixing Fun" onto my Promethean board and we review primary and secondary colors. 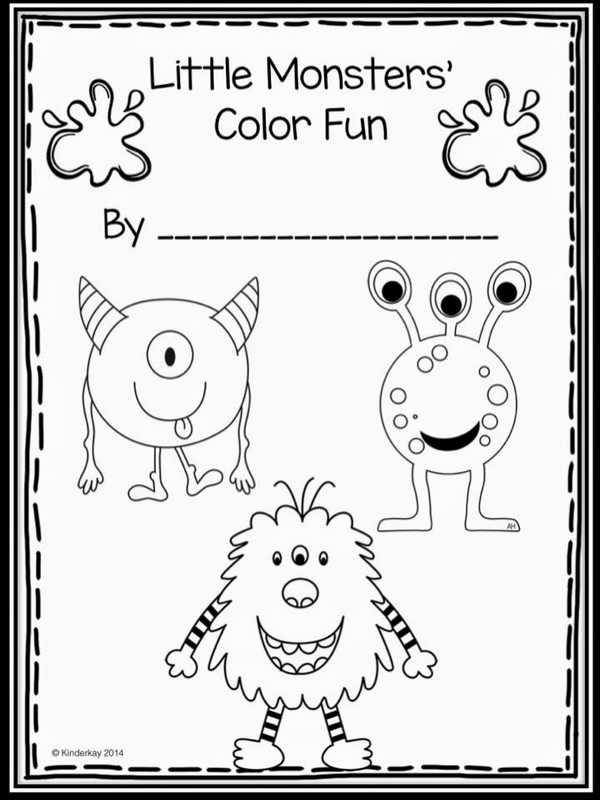 After our review, I pass out "Little Monsters' Color Fun" booklet. 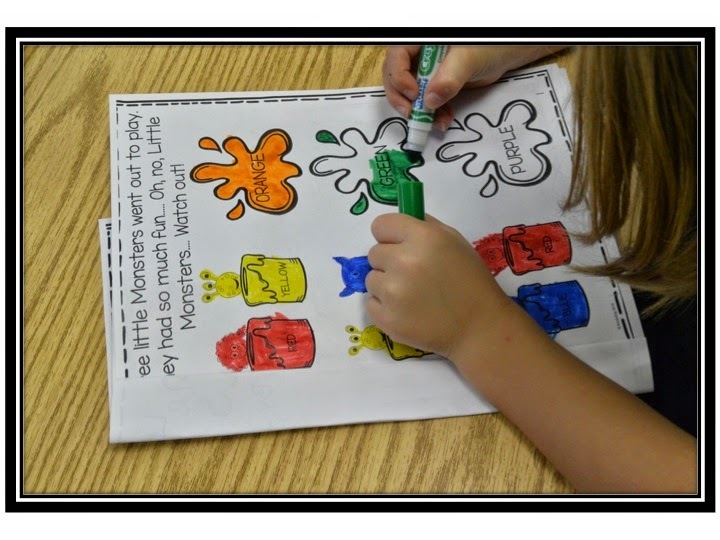 Each child finds a red, yellow, and blue marker and holds it up high. The rest of the markers are kept inside their box. 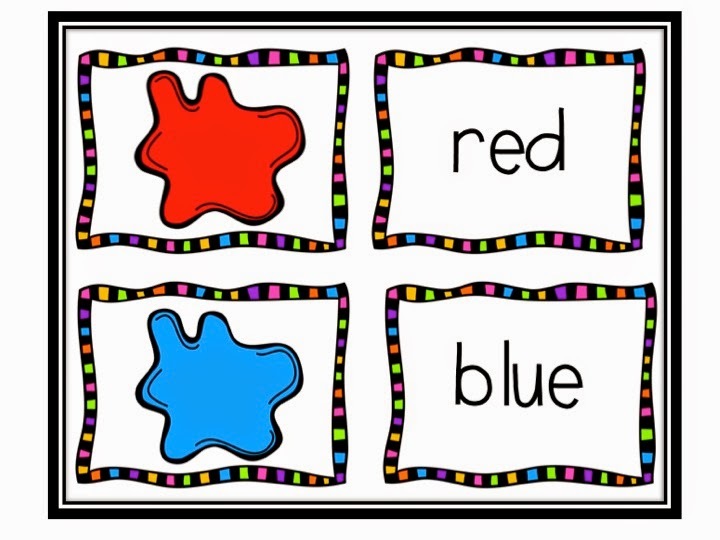 This REALLY helps kiddos to concentrate only on the 3 primary colors. They use the primary colors to color the paint cans. 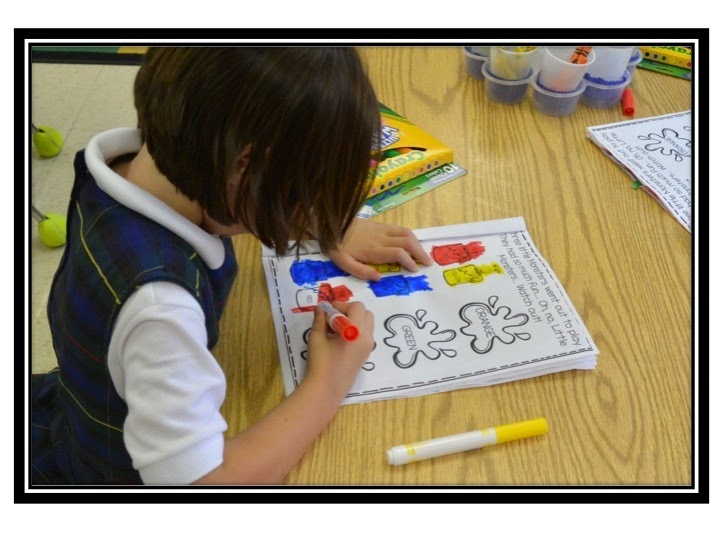 We use the pocket chart activity from the day before to find the correct color word. When the primary colors are finished, the markers are put away and the secondary colors found and taken out of the box. Using the pocket chart cards once again, the secondary colors are used to color the paint blobs. 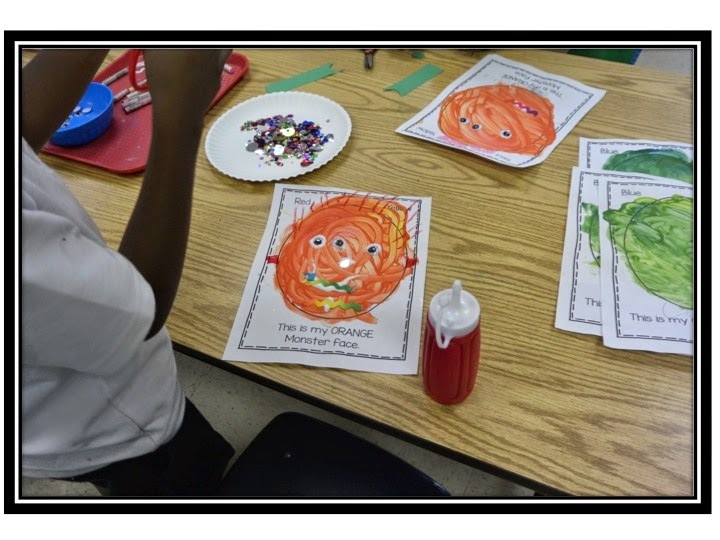 The following day, we discuss "Monster Mess" once again, review primary colors, and my kiddos get to paint their first monster face. I put a teaspoon of each paint color on the page and the kids use their fingers to mix. We follow the same procedure for all 3 Monster faces and let them dry overnight. The next day, the children use ribbon, rick rack, wiggle eyes, construction paper, sequins, and oil crayons to give their monster a face. I love the uniqueness of each child's face! 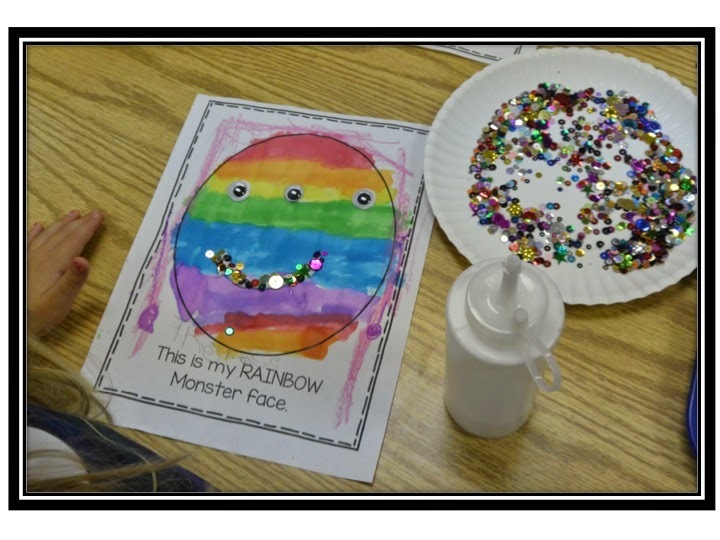 The final monster face is a Rainbow Monster. 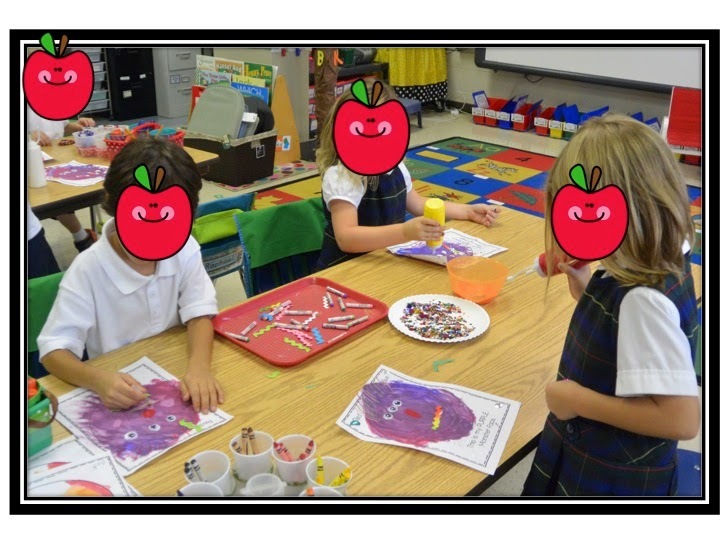 Before painting the Rainbow Monster, we discuss the order of the rainbow. 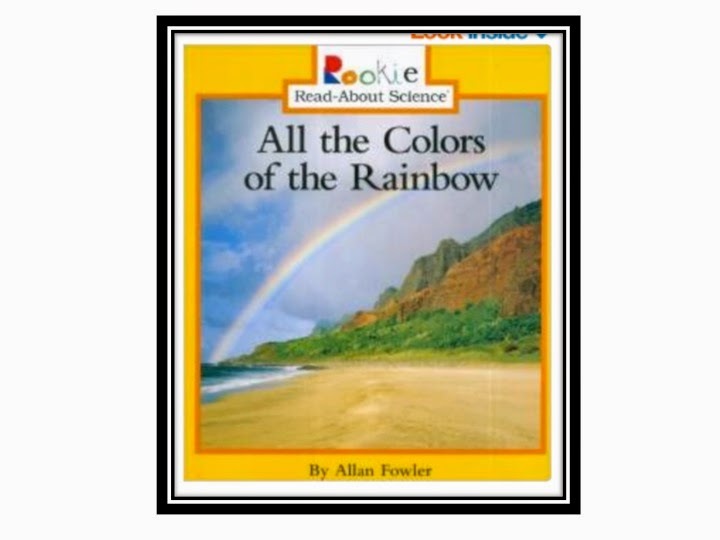 I read "All the Colors of the Rainbow" by Allan Fowler. We take prisms outside to look for rainbows. 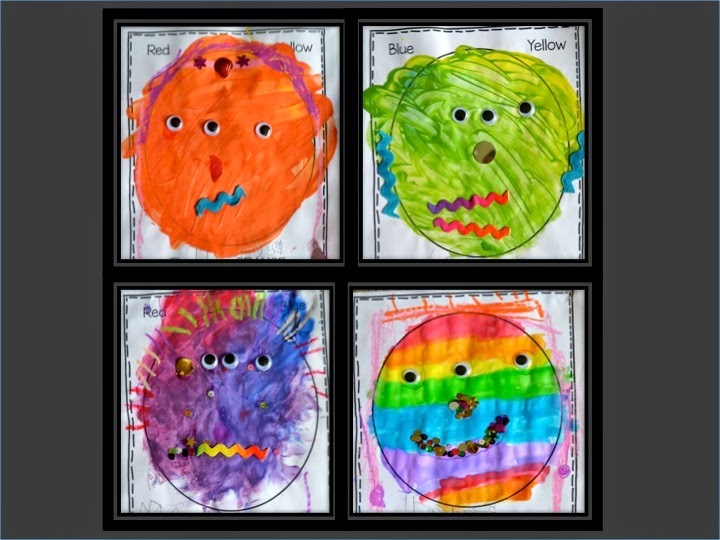 When we return, my kiddos use their watercolors to paint their Rainbow Monster face. I tell them they must paint it in the correct order of the rainbow! The next day they add details to their face. Once all the pages are dry, I staple them together and send home! Yay! 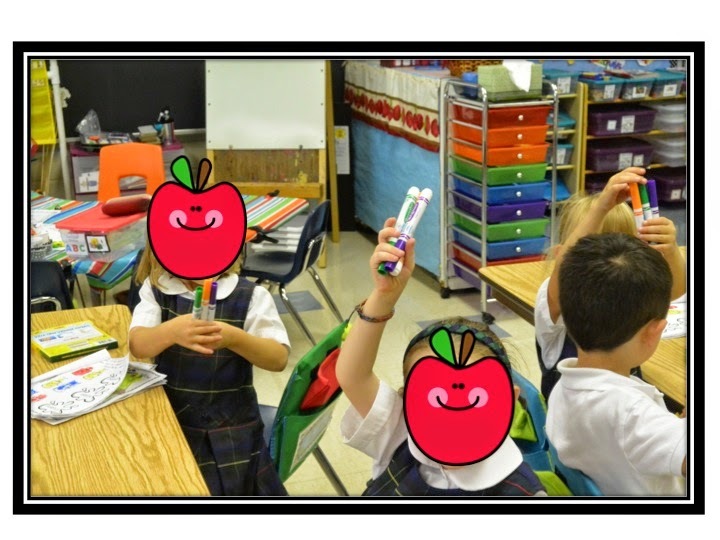 A fun way to begin the school year! 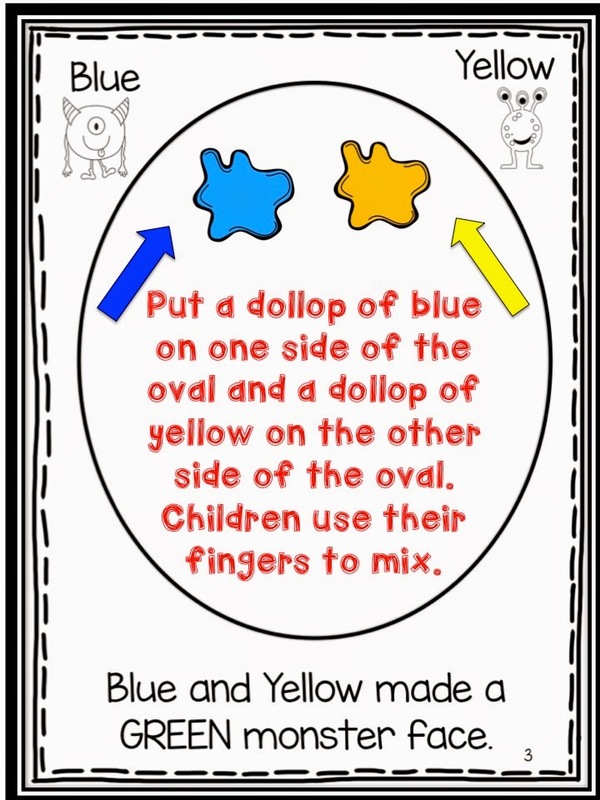 Click the image below to find "Color Mixing Fun". 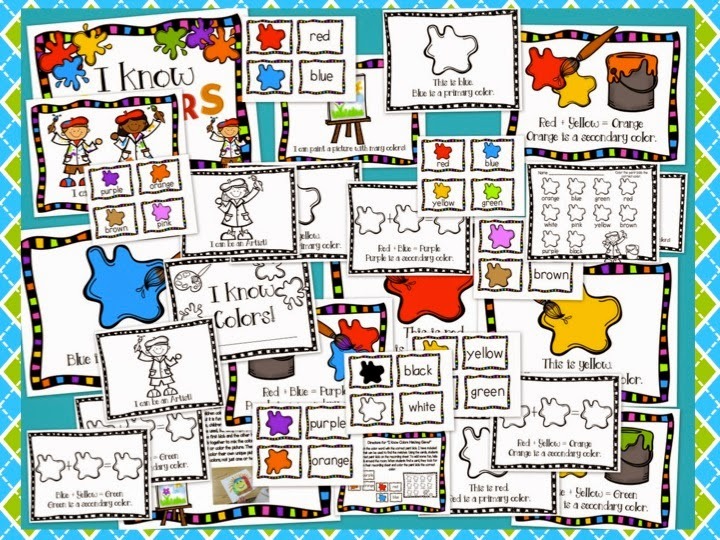 You can find Deanna's "Monster Mess" in her BACK TO SCHOOL WITH MATH AND LITERACY pack. And finally, click the image below to download "Little Monsters' Color Fun" book. What an amazing activity. I'm planning on having a monster theme in my room and this would be such a great start of the year introduction. Thank you very much.